I was recently looking for a wordpress translation plugin and had a lot of pain trying to identify which plugin was the best for me. My requirements were a sub domain solution that should come with a management interface in order to deal easily with my different translators and follow up the different jobs they were assigned to. 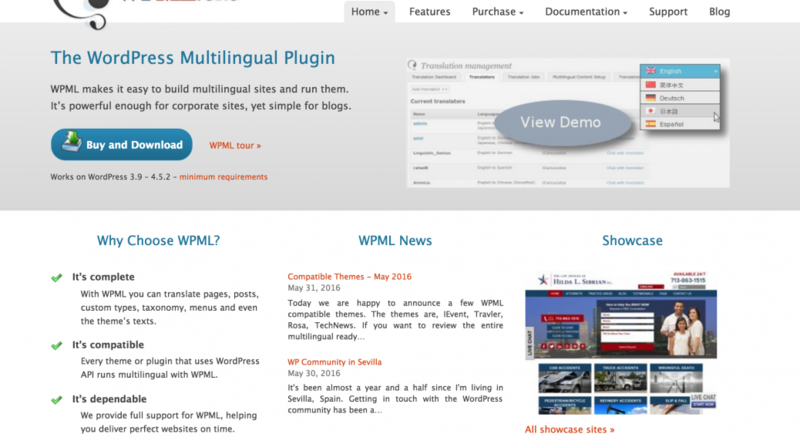 To my mind the best translation plugin for wordpress is WPML. I don’t have any affiliation link with them so don’t look for a particular element that would push me to promote this WPML. I’ve been using their plugin for few months now, to translate a news site into 4 different languages and have to admit this plugin works like a charm. WPML just do the job, is reliable and very well coded and documented. There is no secret for such a quality, you have to pay, but believe me the investment worth it. One thing to remember is not translating your content using Google translate in order to avoid any spam score to your pages. My advice : Hire real translators. You can find cheap ones on Fiverr.com and with a bit of time select the right people you can rely on. WPML integrates a full translation management interface that gives the ability to your translators to directly login onto your site and edit your articles.